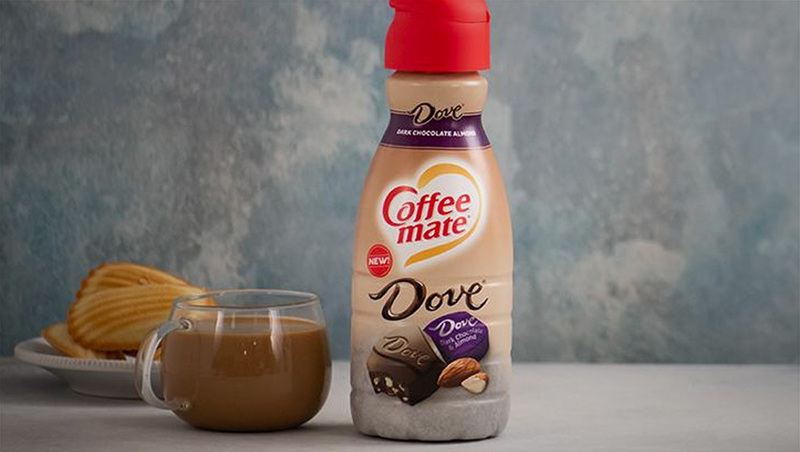 Coffee-Mate has added a Dove flavored creamer to its lineup. Dove, owned by Mars, also licensed its Snickers flavor and name to Coffee-Mate. The creamer is being marketed as having a chocolate flavor. Coffee-Mate is owned by Nestle. Competitor International Delight announced earlier this year it would be offering an Easter Peeps flavored creamer.